Will New Rockefeller Foundation President Break or Reinforce its Mold? Will American foundations step up to fill the void left by nationalistic governments? 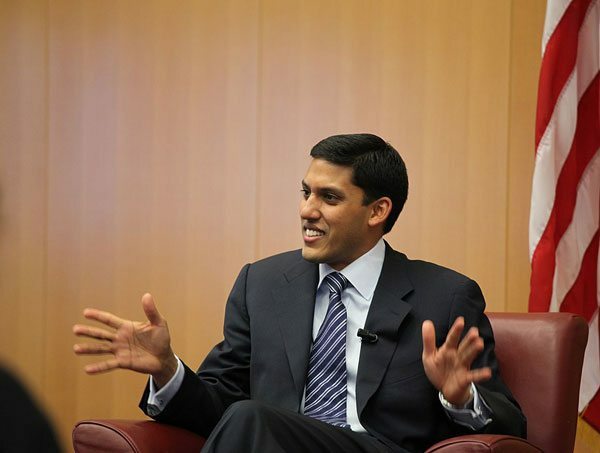 Rajiv Shah, president of the Rockefeller Foundation, hopes so. He outlined his vision at a recent program at the Overseas Development Institute amid “a global mood of institutional distrust,” according to Devex. Shah was named head of the influential foundation in January, after serving as administrator of the U.S. Agency for International Development (USAID). President Donald Trump wants to see USAID merged with the U.S. State Department and essentially gutted. Cutting foreign aid was a key piece of the president’s campaign, although the practice has proven to be more complicated, with Congress defending soft power and allies balking. If the top 15 foundations in the United States pooled their annual giving, their collective contribution still would not fill the gap left by U.S. President Donald Trump’s proposed 30 percent cuts to foreign assistance, Shah noted. “This is not the kind of problem philanthropy can step in and solve, nor should it,” he said, according to Devex. Can “collaborative philanthropy” shore up global development efforts? Although Shah wants to see foundations work together, noting that the Rockefeller Foundation doesn’t necessarily need to differentiate itself, it’s unclear whether the rest of Big Philanthropy—especially in our modern Gilded Age—will get on board. However, it was refreshing to see Shah acknowledge the disconnect between development funders and nonprofits on the ground. Shah admitted that “sometimes people are too focused on the short term and too focused on the processes of forcing groups to get data back. And he added that “funding institutions like Rockefeller or USAID don’t always help with that.” For these large-scale donors, he suggested it is time to rethink what is a worthwhile investment, long before crises strike. Pointing to the Ebola epidemic, he said that the most effective organizations on the ground had the deepest connection to the community, with long-rooted relationships. He also shared his vision for the New York-based foundation’s future, which includes the use of science and technology for inclusive growth and leveraging the foundation’s influence to create new public-private collaborations. Unfortunately, he didn’t focus much on the Rockefeller Foundation’s approach to the stateside challenges that have been roiling the country as of late, including the administration’s rollback of civil rights gains. Since the election, the Foundation gave $1.5 million to the ACLU, International Rescue Committee, and Anti-Defamation League, and another $300,000 to the NYC LGBT Center, Sylvia Rivera Law Project, and Campaign for Southern Equality to mark Pride Month. Are large aid organizations properly leveraging local partnerships and empowering the communities where they work? Not enough, advocates say; the so-called “Grand Bargain” remains unfulfilled and local groups still receive only a small fraction of the money dedicated to relief and rebuilding.